The February work day scheduled for 2/23/19 is CANCELLED due to predictions for snow and freezing temperatures. We apologize for the late notice and hope you will be able to join us next month, March 23. Where: We will be taking the shortcut to Bridal Veil Falls. This is a new trail that will be open to the public early this summer. 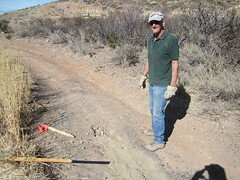 Meet at the Lower Grandview Trailhead and we will then proceed to the shortcut trail. We hope you all had a great holiday season and are ready for the new year! 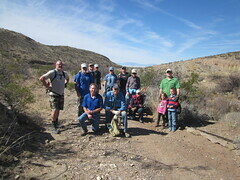 Our first work day will be January 26th on the Grandview Trail. What: We will be tearing out the steps and replacing them with a walk-through gate. 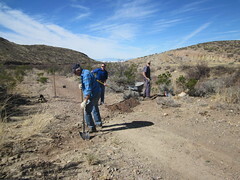 We will also be water-sealing and touching up the shelter as well as general trail maintenance. 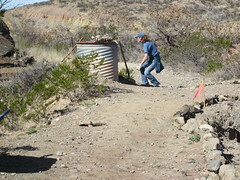 If we have enough time and volunteers, we may also paint and/or repair some of the old wooden culverts. When: Saturday, January 26, 2019 from 9:00 AM to Noon. 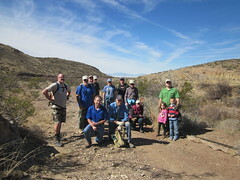 Where: Meet at the Lower Grandview Trailhead on Fresnal Canyon Road. What: The first shelter on the Switchback Trail from Bailey Canyon is leaning and is 6″ out of plumb, with no bracing to resist further leaning. We are planning to bring it back to plumb and add some 2×6 bracing. We will also be doing some culvert repair just down from the shelter and try to hang new flags on the Harkey Pedestrian Bridge. Bring work gloves and water. When: Saturday, November 3, 2018 from 9:00 AM to noon. When: Saturday, October 20, from 9:00-12:00 at the Grandview Trail (T130) in High Rolls. What: We will be working the Grandview Trail, moving rocks off of the trail, picking up trash, and general trail maintenance. Light to heavy work, something for everyone. Tools will be provided. Bring work gloves, sturdy shoes and water. Where: Meet at the lower (west end) Grandview Trailhead (T130), across the road from the upper Bridal Veil Trailhead (T129).